On the same day we were remembering our war dead, the Daily Mail was busy celebrating this year’s crop of ultra-cheap Champagne offers in the run-up to Christmas. 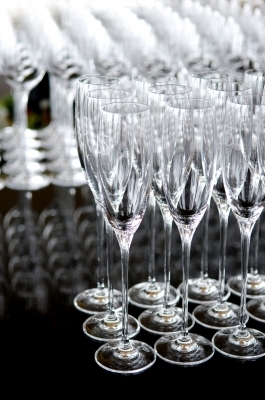 In an attempt to win the hearts of consumers all over the UK, supermarkets such as Tesco, Sainsbury’s and Asda are slashing prices on their Champagnes, sometimes to as little as £10. Now, shops like Lidl and Aldi have always sold their wine on the cheap, so finding a bottle of bubbly there for £12.99 doesn’t come as much of a surprise. But to see the big supermarkets cut their prices by more than 50 per cent is a little worrying. Sure, we all like a good deal and if it’s at the expense of the big supermarkets’ bottom lines, is it really such a big deal? Yes. But not for the reasons you might think. The problem isn’t that the supermarkets are more than likely making a loss on these wines (and if they aren’t, they have simply squeezed the producer’s profit down to almost nothing). It’s that the big supermarkets are discounting these bottles so heavily to the point independent wine retailers are suffering because they’re unable to compete. 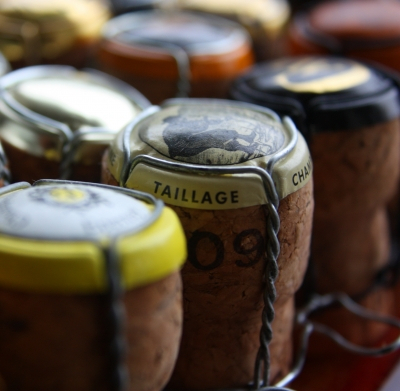 Even though the likes of Asda, Sainsbury’s and Tesco are selling Champagne brands like Dubois-Caron, and De Vallois at cut-rate prices rather than finer marques like Bollinger and Louis-Roederer, the damage it causes to small retailers is the same. For the average consumer who simply wants to pop a bottle of Champagne for the lowest price possible, the name on the label is probably not of great importance. Some will say those customers are unlikely to buy from a specialist wine merchant on the high street anyway, but the fact is many of these people *do* visit them and, if they’re used to seeing fizz selling for £10 at Asda, there is a good chance they’ll recoil when they see the real price for good Champagne. Whether or not £25 or more for a bottle of Champagne is justified in any case is up for debate; the sticker value might reflect how much it costs to produce the wine but might also be set at a level to push it into the luxury bracket. Nevertheless, selling Champers for a tenner still isn’t good for the market, particularly when it is for less than what other retailers pay for their bottles on the wholesale market. So while Tesco is sending their bottles out the door at a loss hoping to make up for it elsewhere in the Christmas rush, the high street specialty wine shop is losing sales – and customers – because they simply can’t afford to make a loss. It also does no favours for merchants selling English sparkling wine, which are seldom sold at deep discounts due to the young market’s economics. Faced with the choice between a £10 generic Champagne and a £25 bottle of Ridgeview, will the average person care if one is better than the other? They are likely to see a massive price different and simply go for the better deal. This not only hurts the shop selling English wine, but also the producers who make it. In the interest of full disclosure, I visited my local Lidl recently and, during a moment of boredom in the interminable queue, I decided to buy one of its £12.99 Champagnes. Did I feel proud getting such a good deal? No, not really. I bought it because I was curious to see if it was any good. It is currently in my cellar, sitting next to bottles of Bollinger and Dom Perignon, as well as English sparklers like Ridgeview and Breaky Bottom. It might have competed on price, but I doubt it will be able to compete on quality.